Typical team building activities don’t provide the biggest impact on your employees. When has an obstacle course actually helped to build a successful company? Great teams are built through learning how value and work with each other’s strengths and weaknesses towards a common goal that is bigger than the individuals. This can’t be built through a simple team building retreat, or accomplished from a few games at the local rock-gym. Common memories from an adventure travel opportunity filled with life-long team accomplishments is the best way to propel a team into new heights of success! Destination Earth knows that you can build your company by helping build positivity in the lives of others. 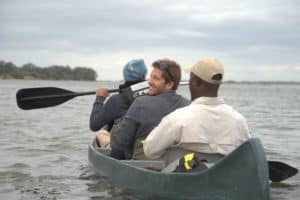 With over 17 years of team building, service and world-travel experience, we have the skills it takes to craft unique team building activities centered around helping people in need, saving the environment, and building a common goal that impacts the lives of every team member. When this is done in an environment far from their comfort zone, your team is much more apt to engage and enact real change. Through our sister event company, our team has worked with companies to build kites, sandcastles, run scavenger hunts, and offer sailing regattas, so we know what works and how to have a great time while building team dynamics. But changing the world for the better TOGETHER is as good as it gets! What does Team Building with Destination Earth look like? Imagine taking off on an adventure to an exotic location like South East Asia for an inspirational journey that combines unique destinations and once-in-a-lifetime experiences with team building activities. 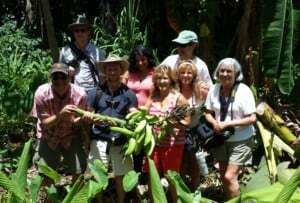 Together, your team is immersed in the joy of discovery, enjoying local cuisine, ruins, beaches, sights, luxury accommodations and pampering. We support the local economy while we rejuvenate our minds and bodies, and find we’re better able to help where we’re needed: We might help a nearby village construct a bridge (with lots of local help for the heavy lifting) that will allow children of the village to safely get to school during the monsoon season, or build a library for orphaned children. This positive project will not only be a tool to let those in your company work cooperatively to complete a process, but will be a truly appreciated way to contribute to those less fortunate, and a common memory to share. We will build surprising team connections through new experiences, bringing out personalities and hidden talents and interests so that team members will depart with a renewed sense of appreciation, family and trust in the team. No time for international travel? If you are interested in shorter, more localized opportunities, ask us about our build a bike for a needy child team building exercise, or invite your top achievers for a unique two or three-day altruistic adventure including philanthropy and fun. Use Philanthropic corporate team building to make a real difference now! We work with you to design a customized program for your group. Programs start at as little as $1,500 per person.